The first comprehensive account of the cultural and racial origins of the imperial security partnership between Britain, Canada, Australia, New Zealand, and South Africa. 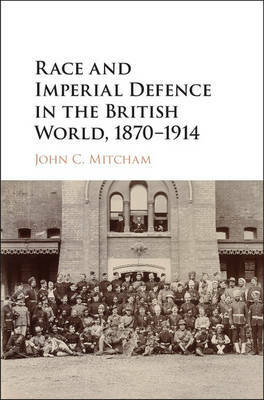 Drawing on research from every corner of the globe, John C. Mitcham merges studies of diplomacy, defense strategy, and politics with a wider analysis of society and popular culture, and in doing so, poses important questions about race, British identity, and the idea of empire. The book examines diverse subjects such as the South African War, the Anglo-German naval arms race, Queen Victoria's Diamond Jubilee, and the birth of the Boy Scout Movement, and positions them within the larger phenomenon of British race patriotism that permeated the fin de siècle. Most importantly, Mitcham demonstrates how this shared concept of 'Britishness' gradually led to closer relations between the self-governing states of the empire, and ultimately resulted in a remarkably unified effort during the First World War.